edge pH is dedicated to testing pH. 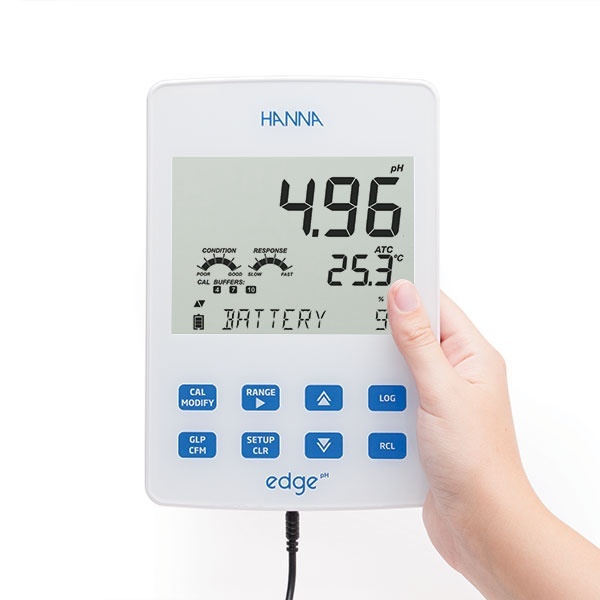 Using Hanna's latest innovation in technology and design, edge can be adapted to suit your working method.<br> <br> Select from hand held, wall mount or bench top - or switch between them all. edge is happy any which way. Simply plug in the electrode, then play.<br> <br> <br> Measurement is simpler, quicker and more accurate than ever.<br> Results are fast and reliable. 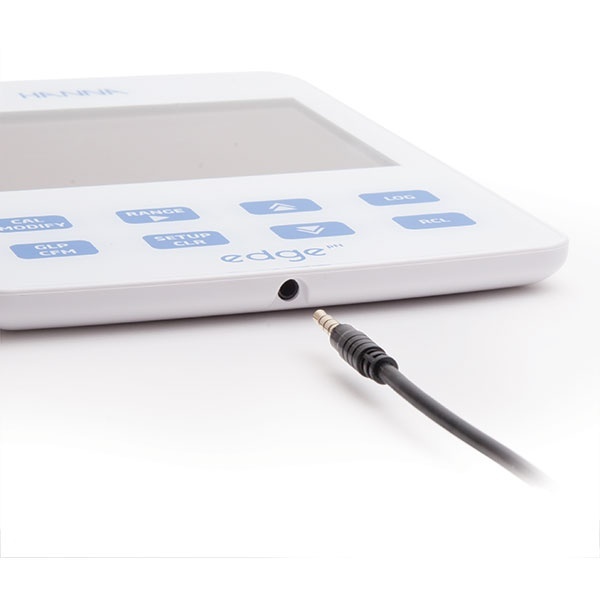 Combining high precision technology with the user-friendly dimensions and format of a small digital tablet, edge is breaking new ground in electrochemistry.<br> <br> A must-have meter for your laboratory!<br> <br> Cutting-edge design, capacitive touch keypad and an intuitive user interface are just a few of the great attributes that make edge stand out as the world's first Hybrid meter on the market. edge pH is dedicated to testing pH. Using Hanna's latest innovation in technology and design, edge can be adapted to suit your working method. Select from hand held, wall mount or bench top - or switch between them all. edge is happy any which way. Simply plug in the electrode, then play. Results are fast and reliable. Combining high precision technology with the user-friendly dimensions and format of a small digital tablet, edge is breaking new ground in electrochemistry. A must-have meter for your laboratory! Cutting-edge design, capacitive touch keypad and an intuitive user interface are just a few of the great attributes that make edge stand out as the world's first Hybrid meter on the market.